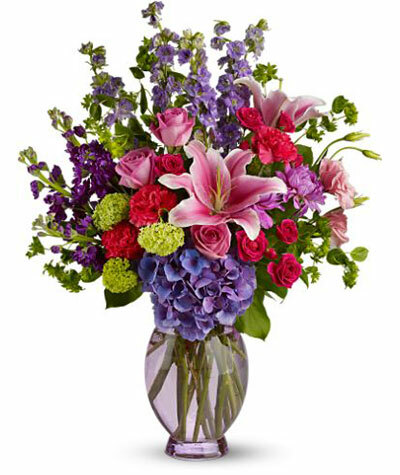 A lovely blend of flowers including lavender, hot pink, purple and bright green. Includes many garden favorites such as roses, stock, larkspur, lily, carnations and more. Large and "gardeny" and great for a special gift.